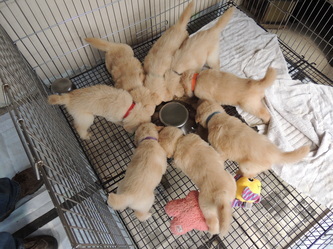 The Patriotic Litter Is Here! 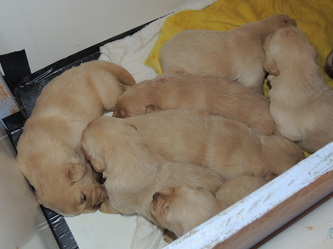 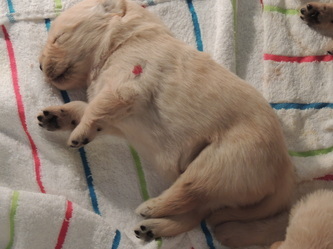 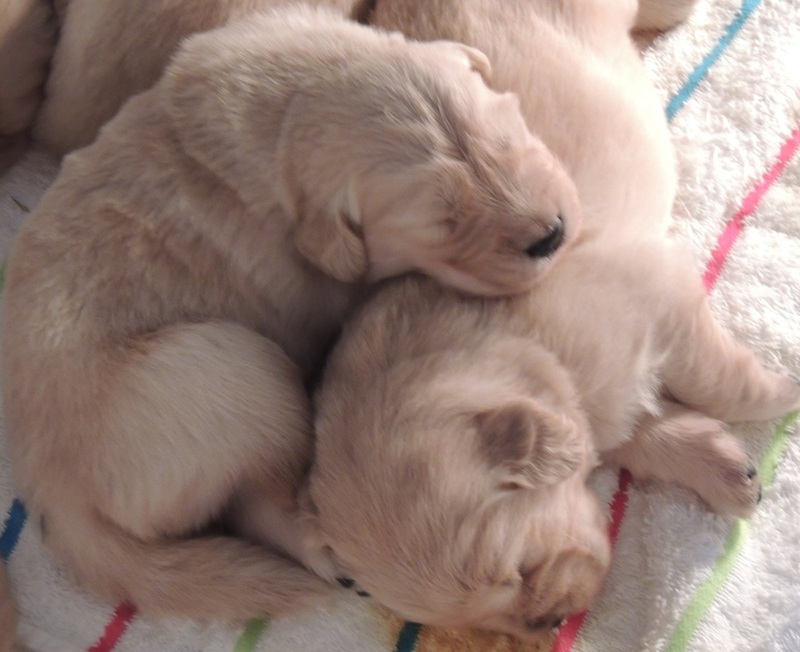 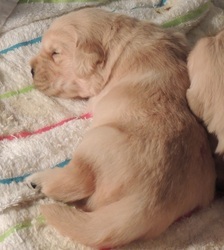 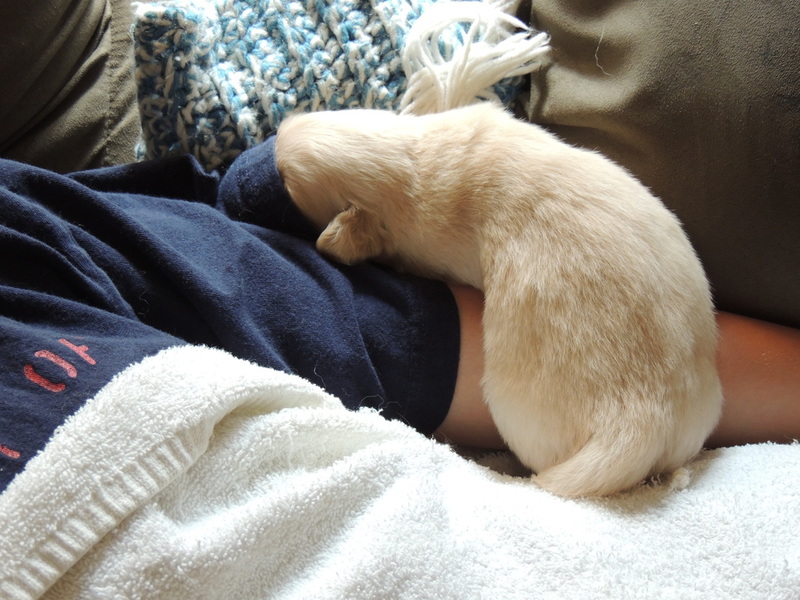 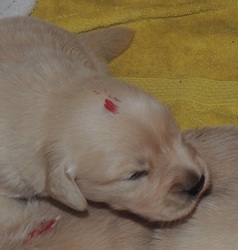 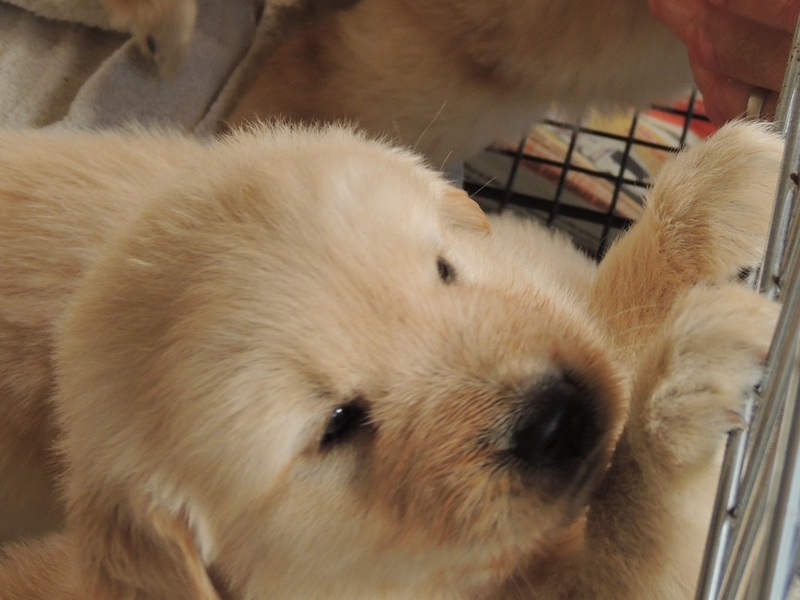 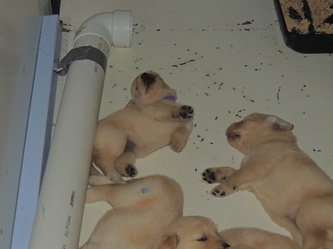 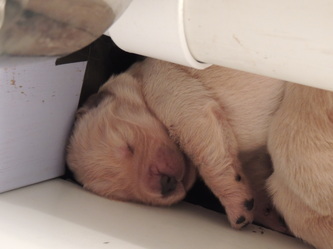 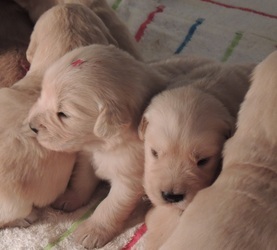 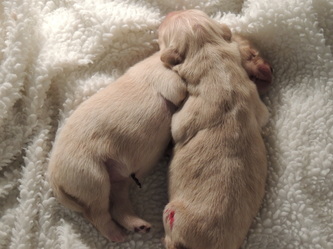 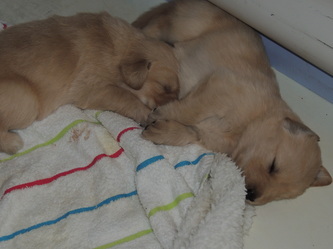 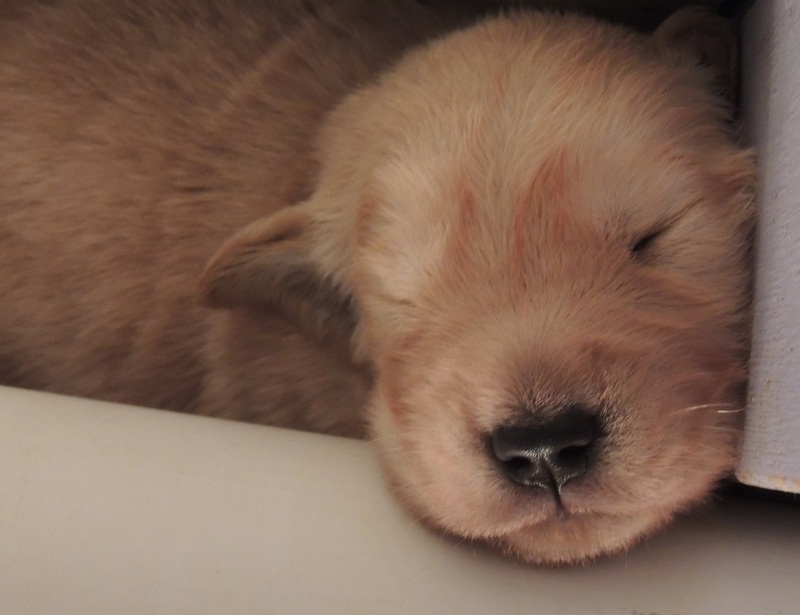 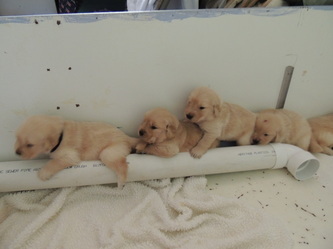 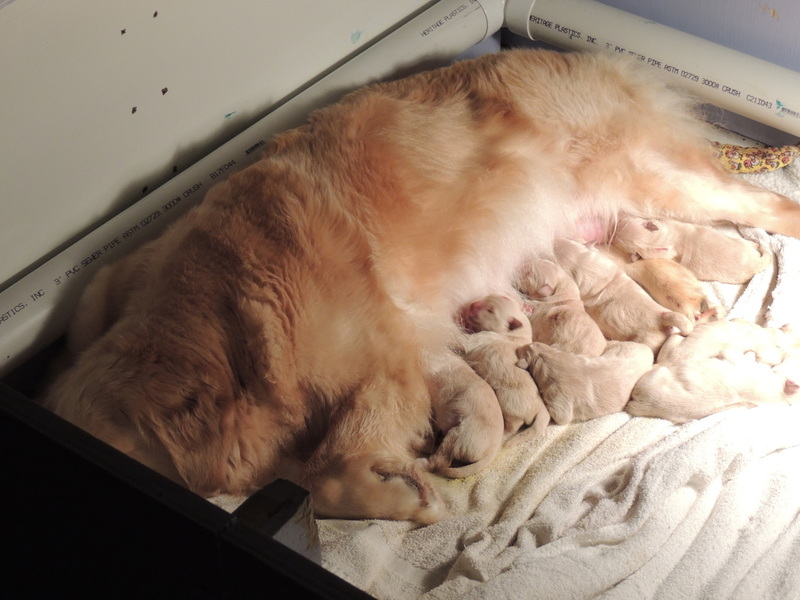 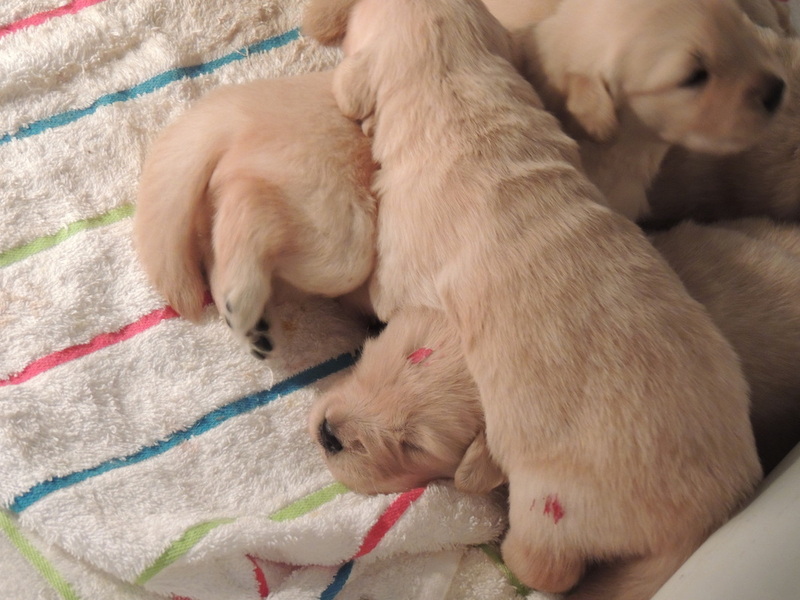 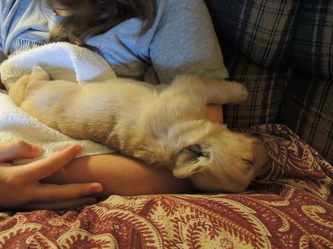 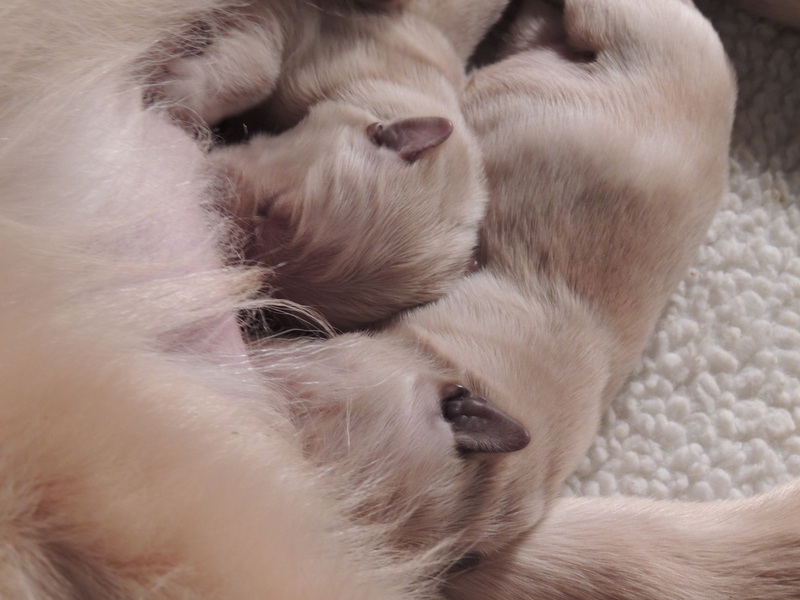 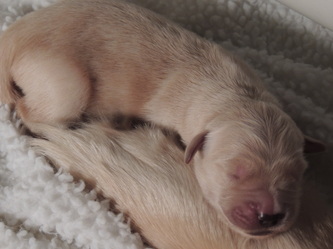 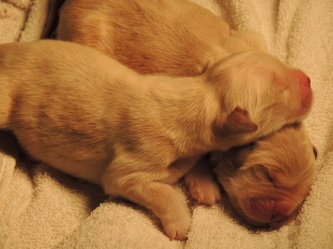 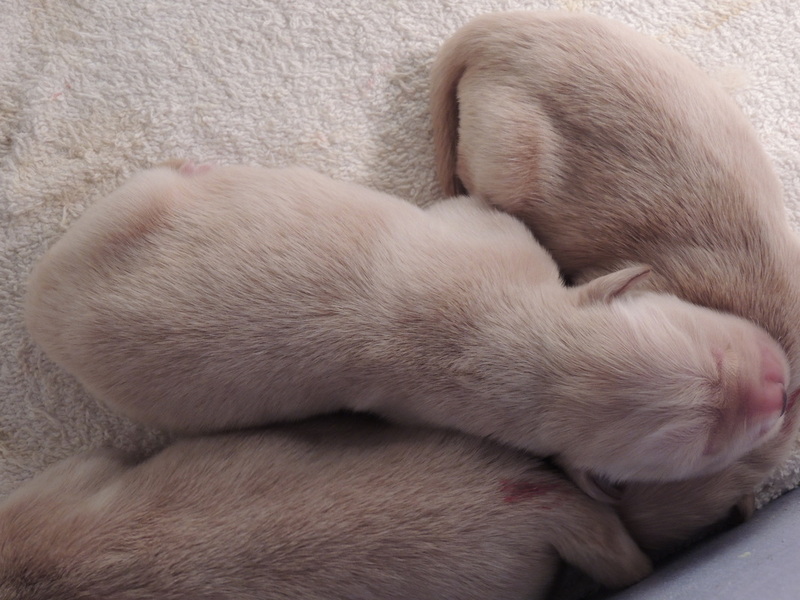 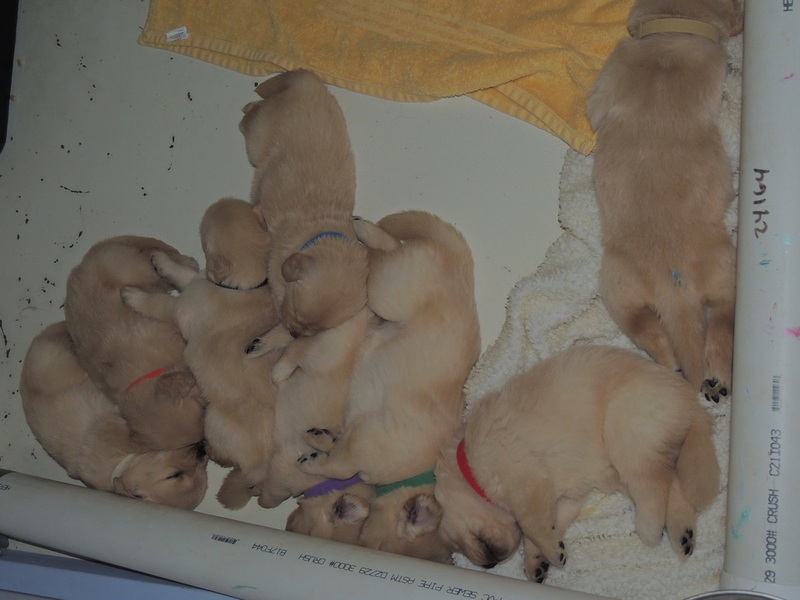 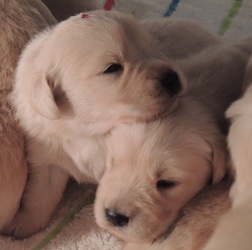 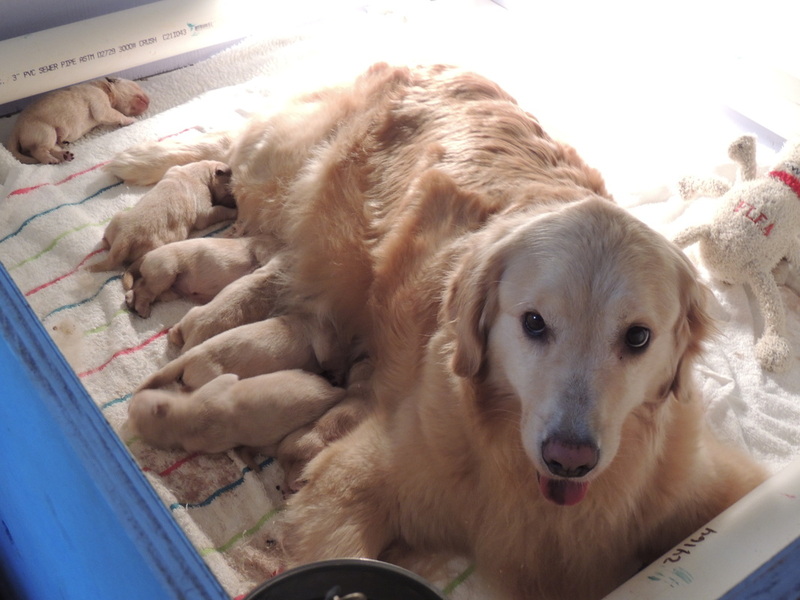 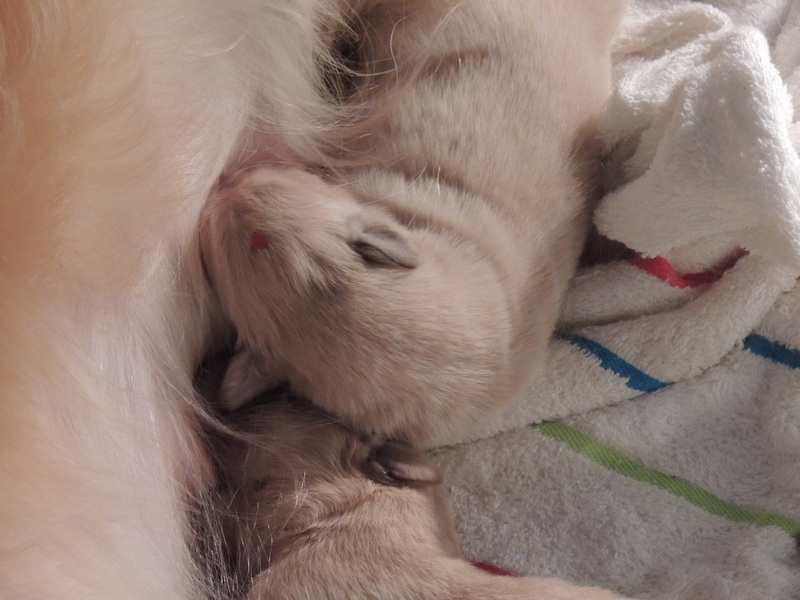 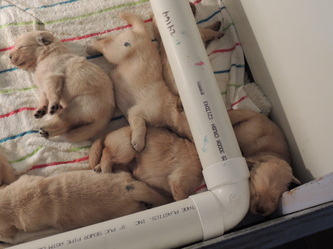 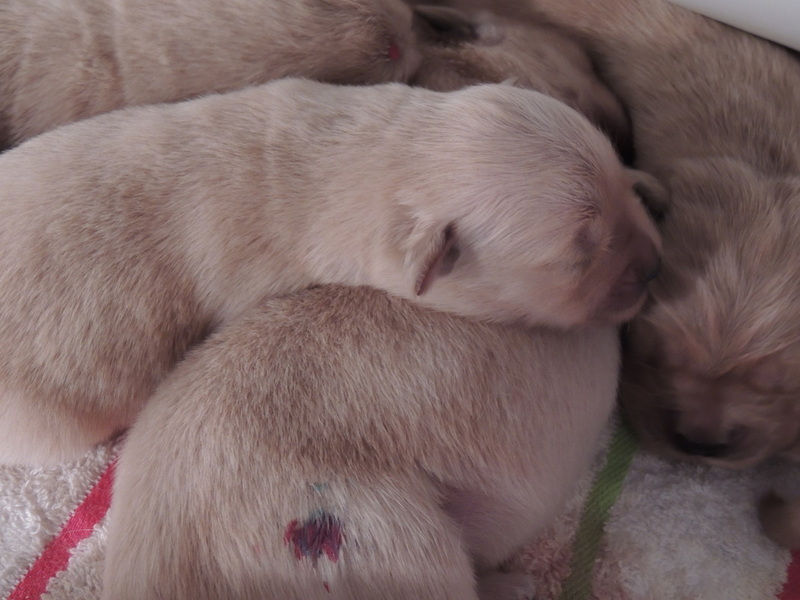 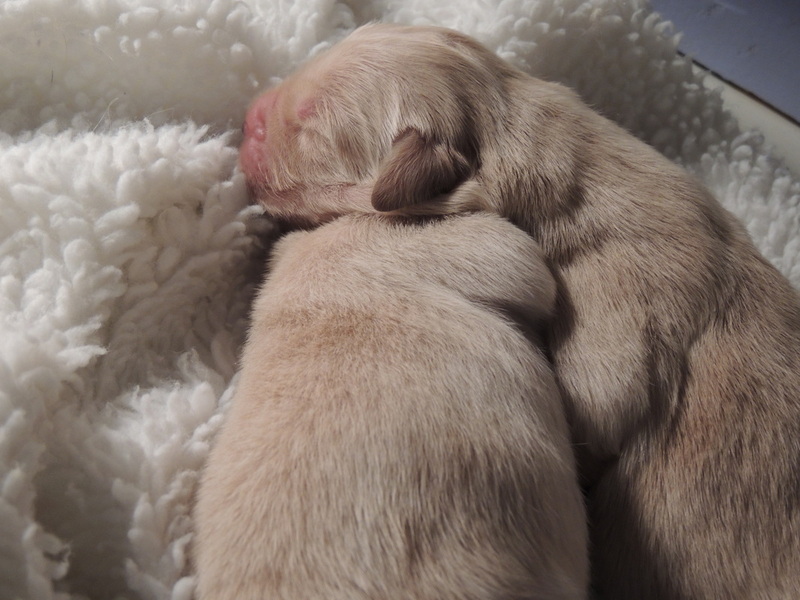 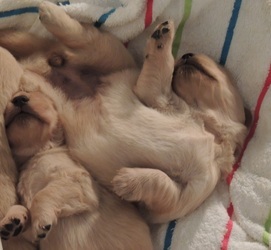 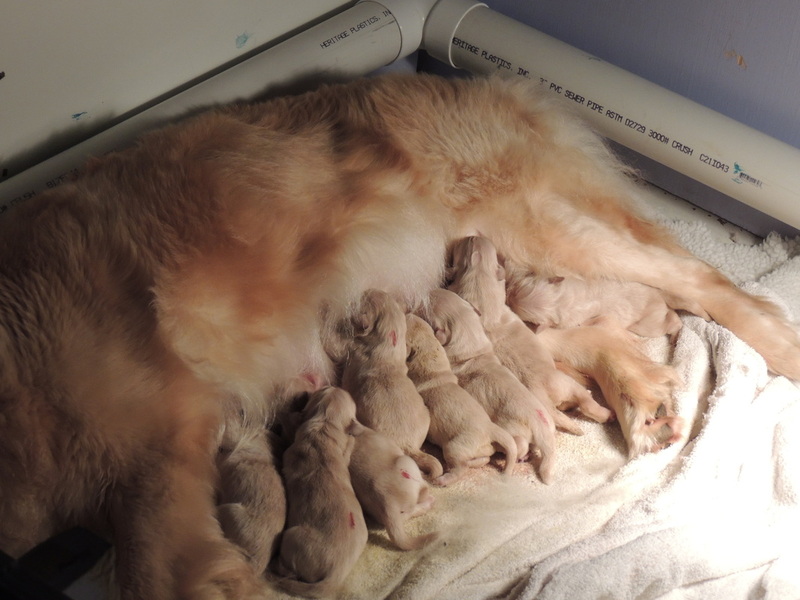 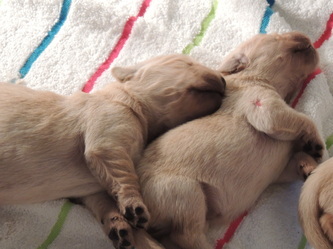 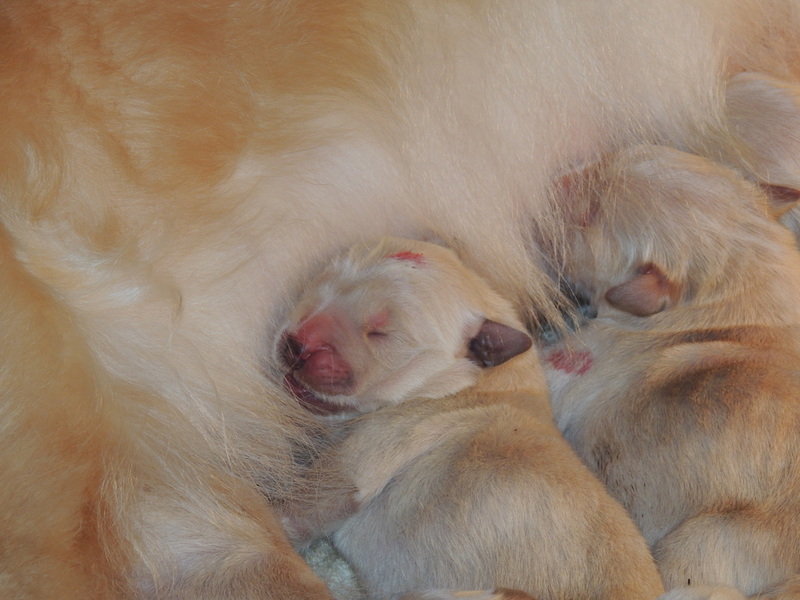 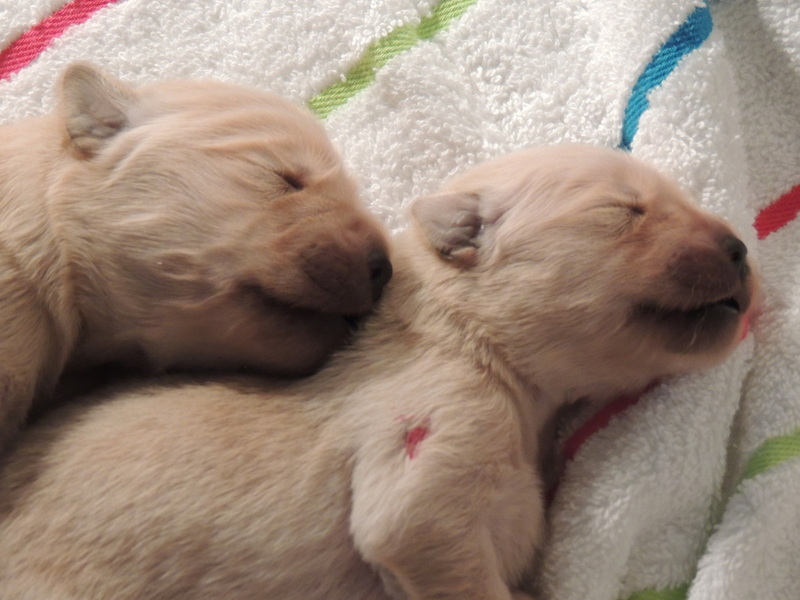 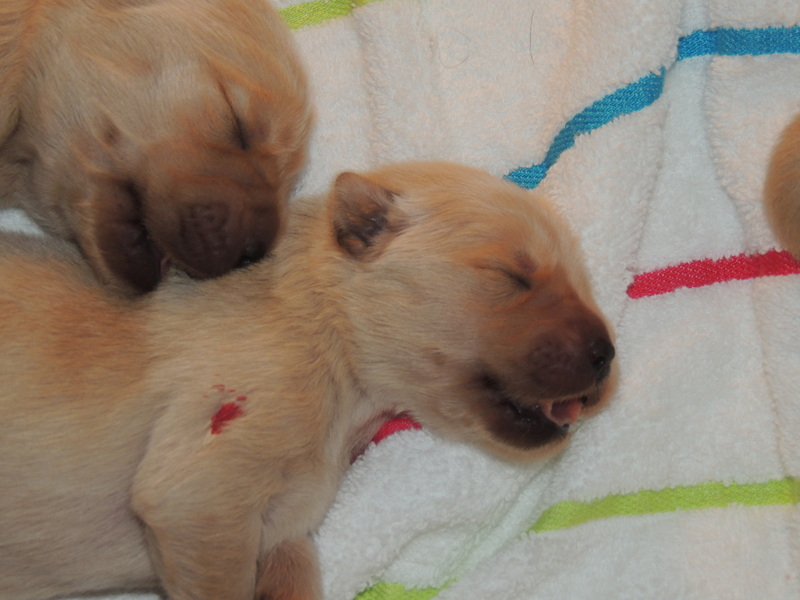 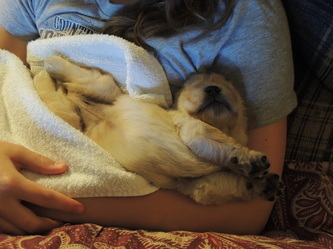 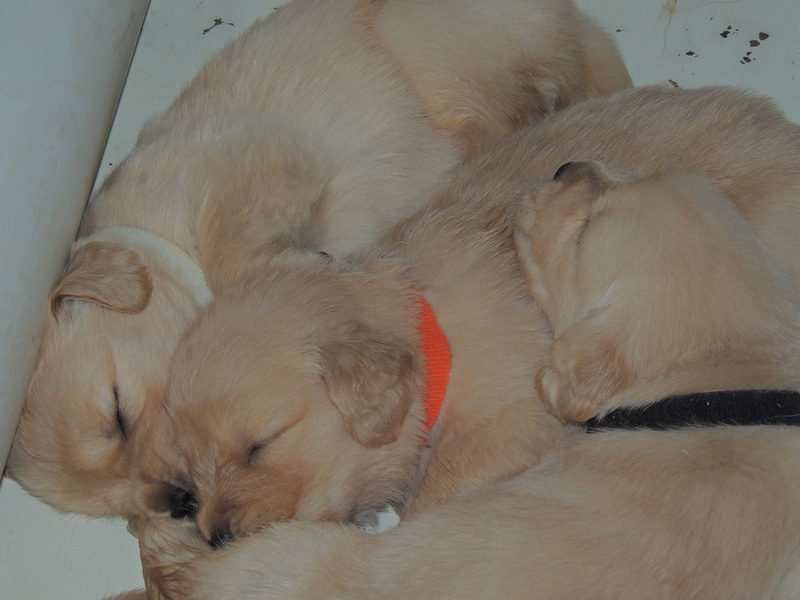 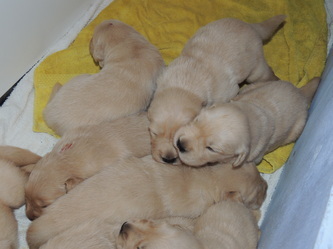 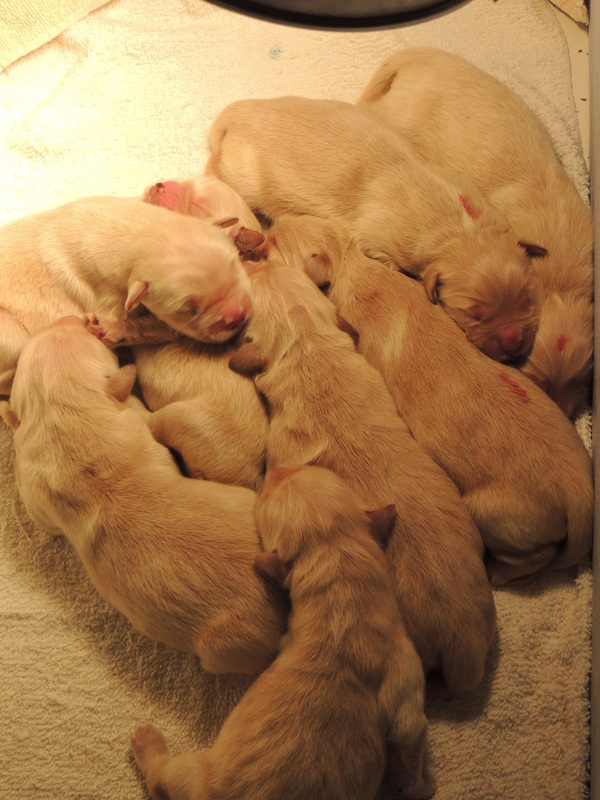 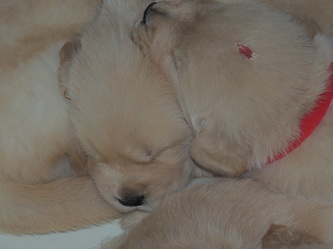 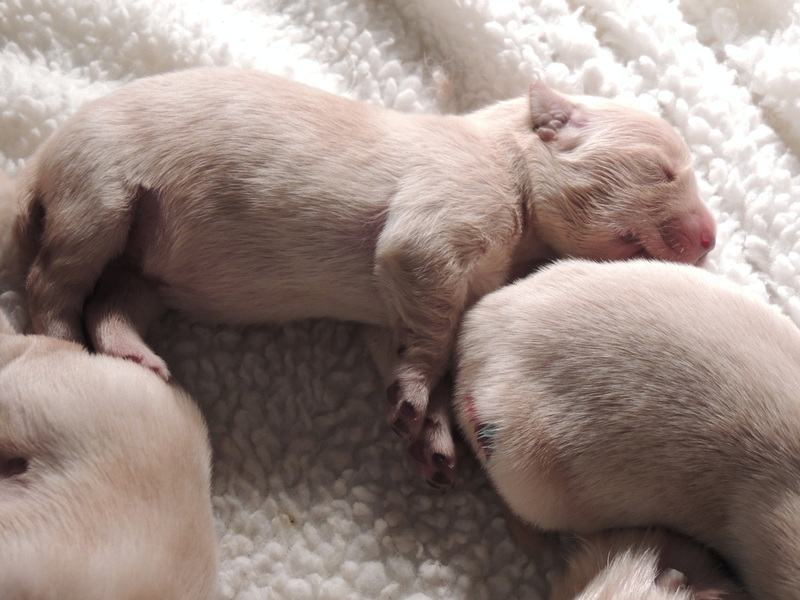 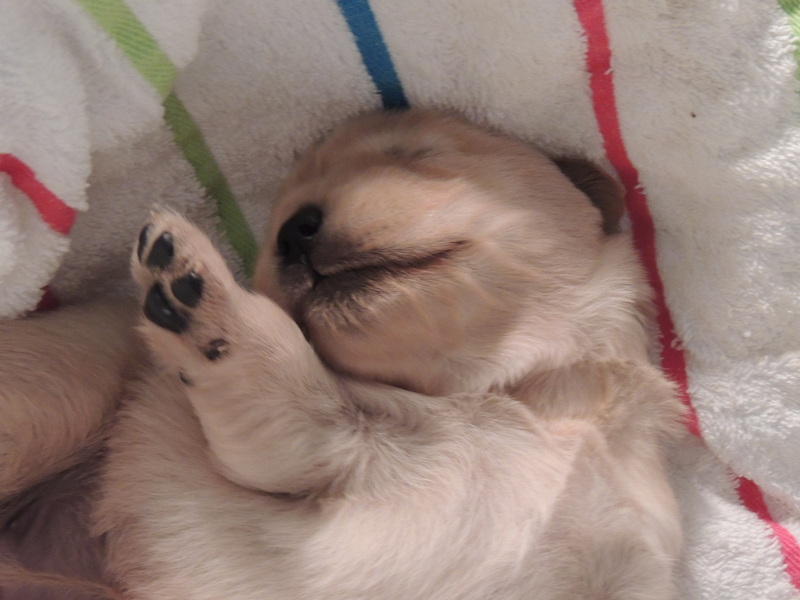 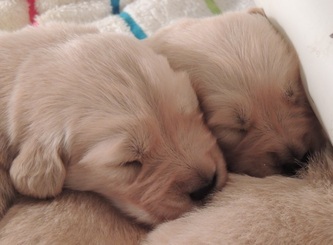 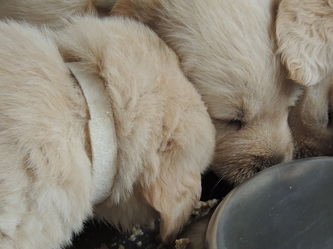 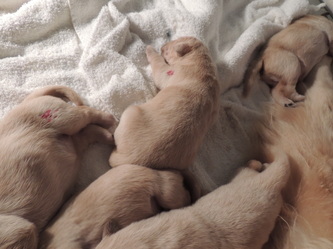 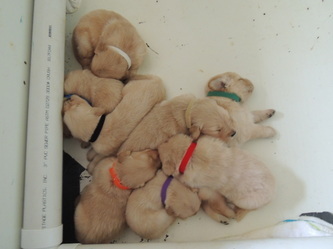 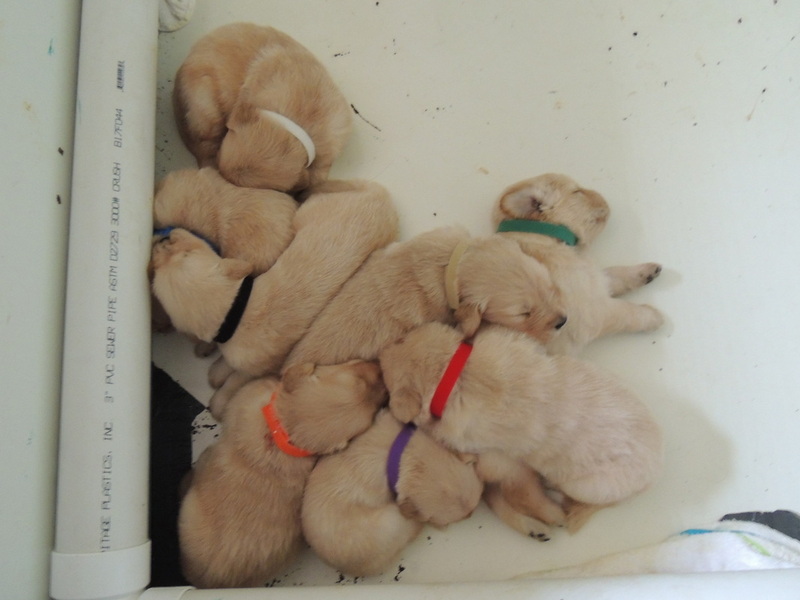 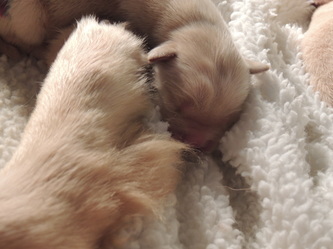 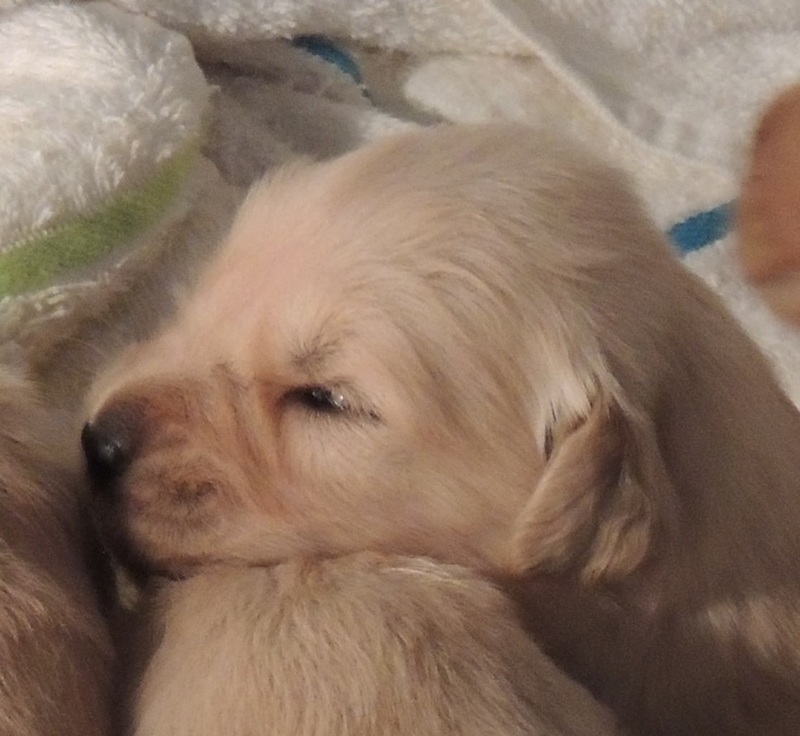 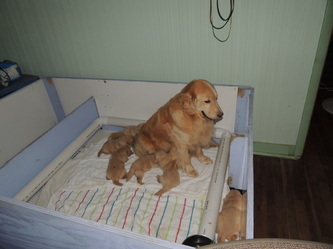 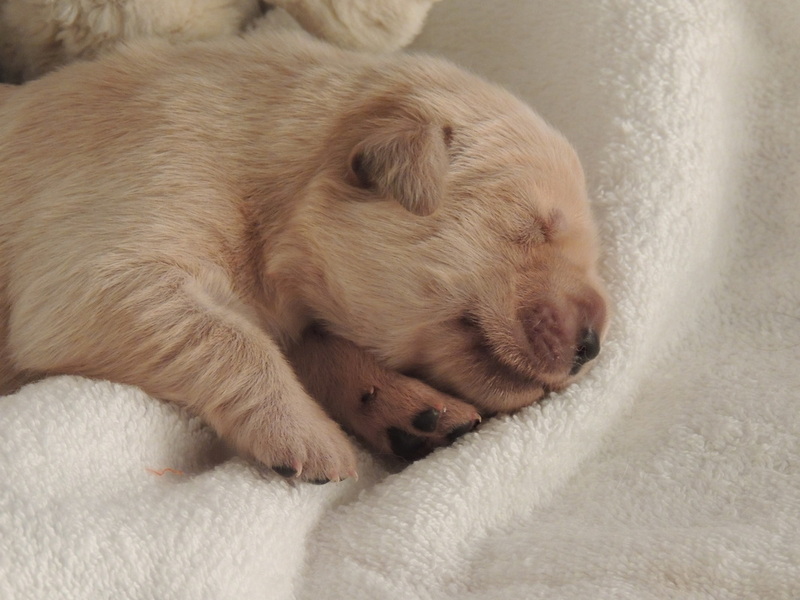 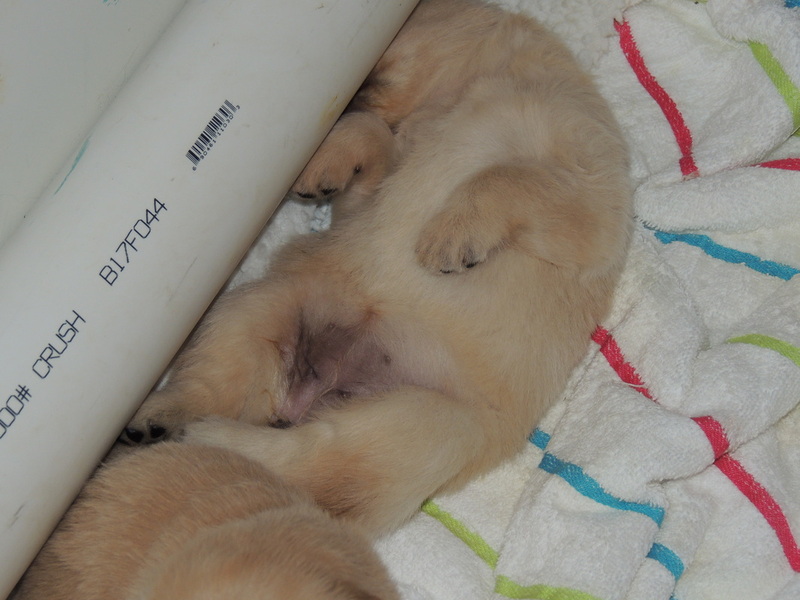 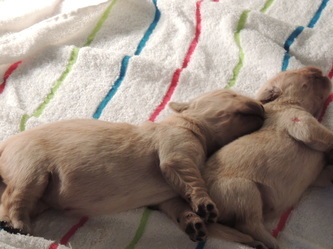 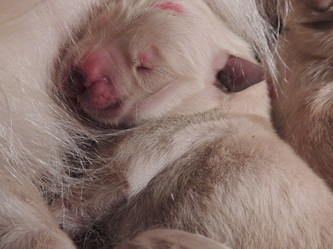 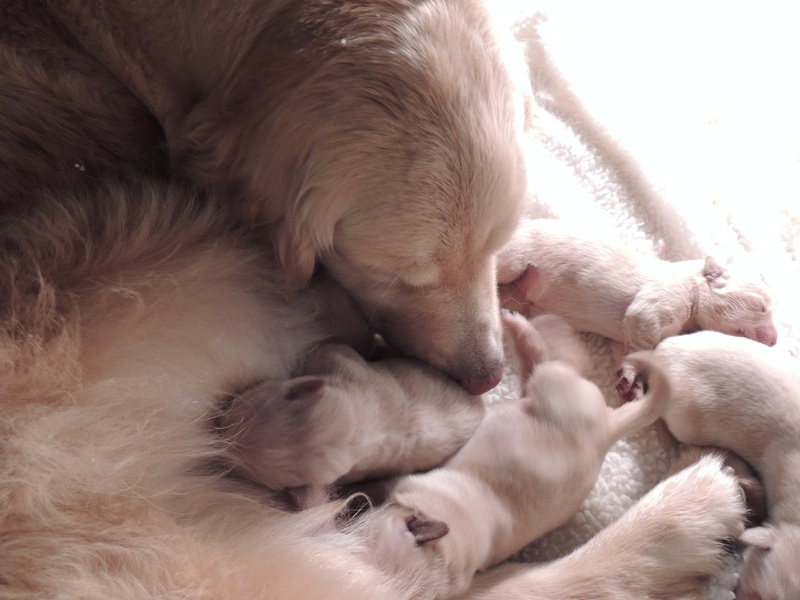 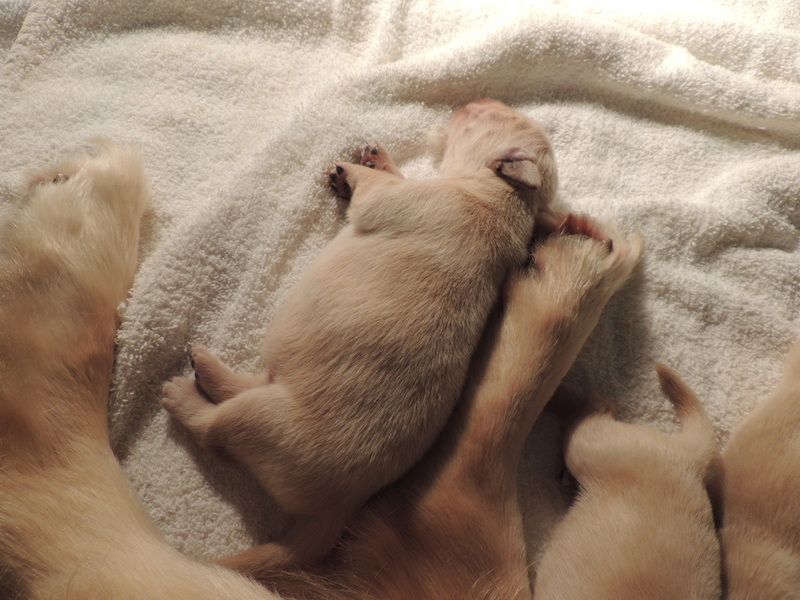 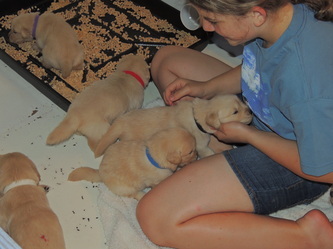 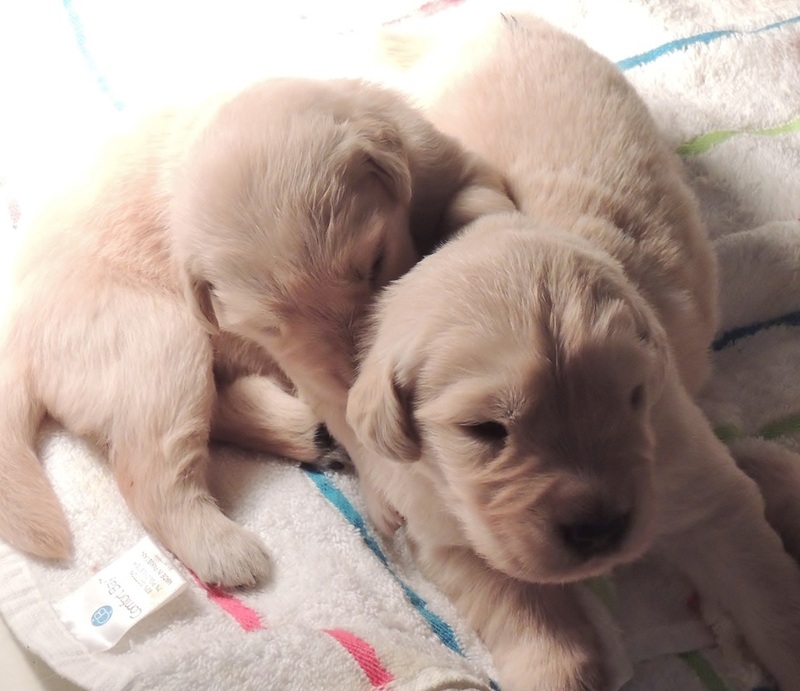 Click on The Dream Litter under Pups! 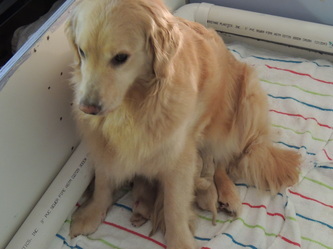 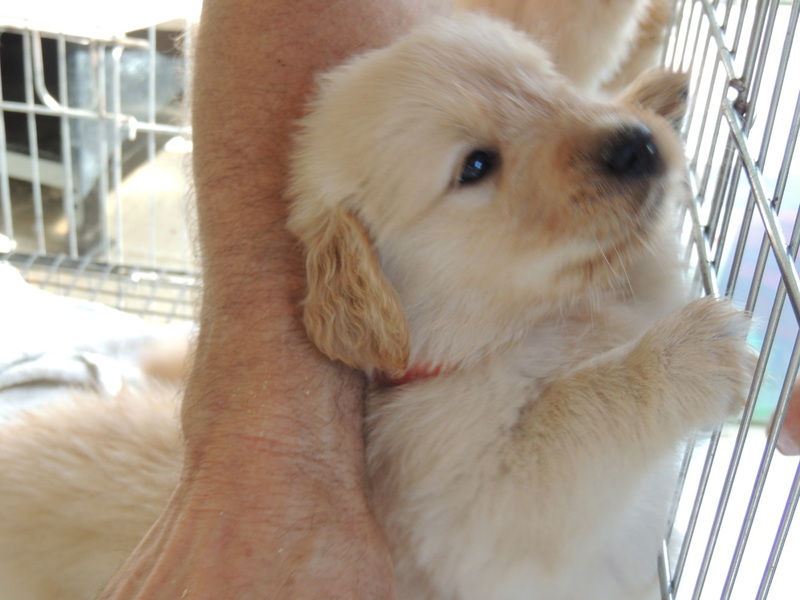 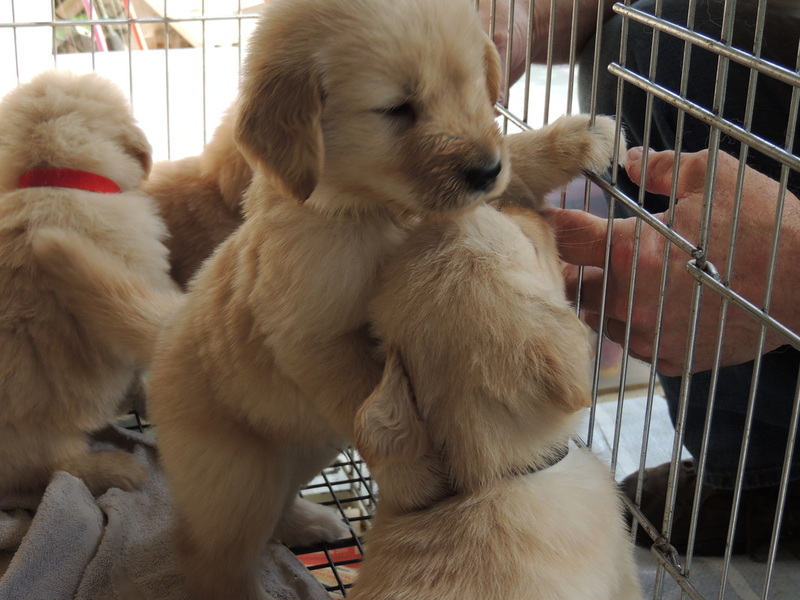 to see her beautiful litter from "Lincoln." 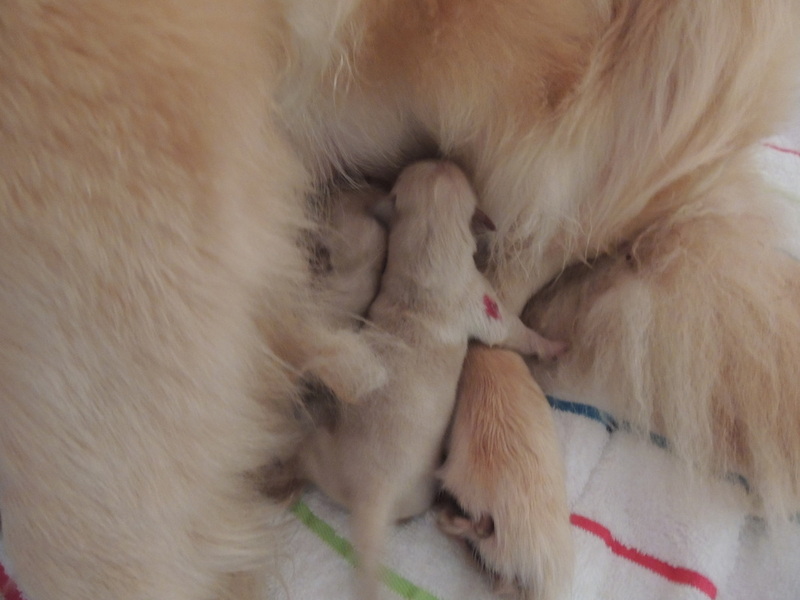 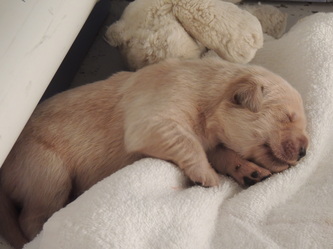 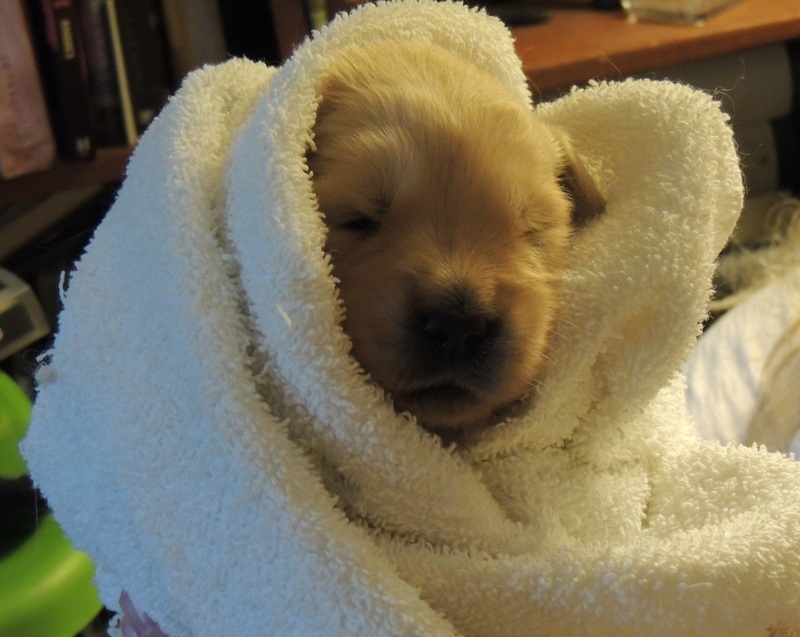 Second Week of Life for the Pups! 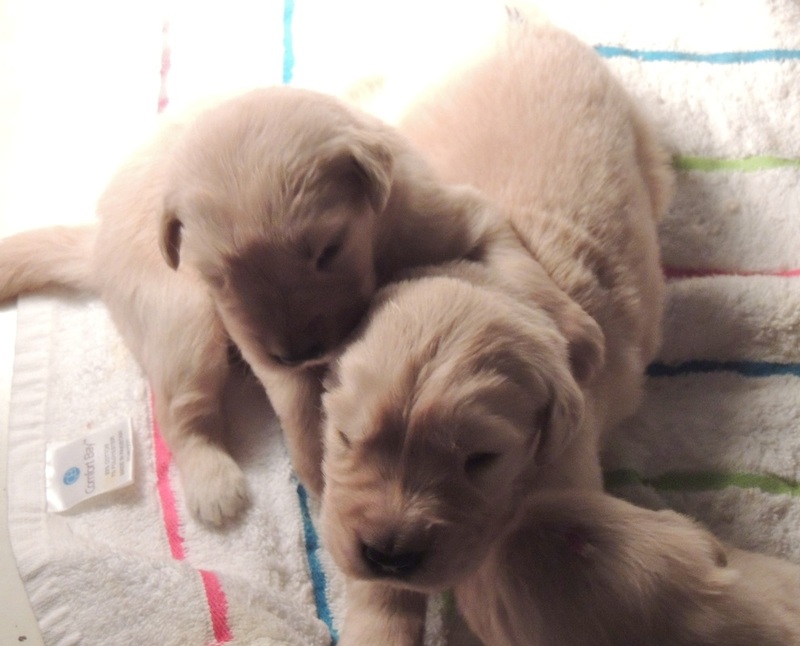 July 17th and 18th! 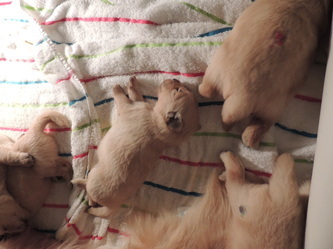 Almost 3 Weeks Old! 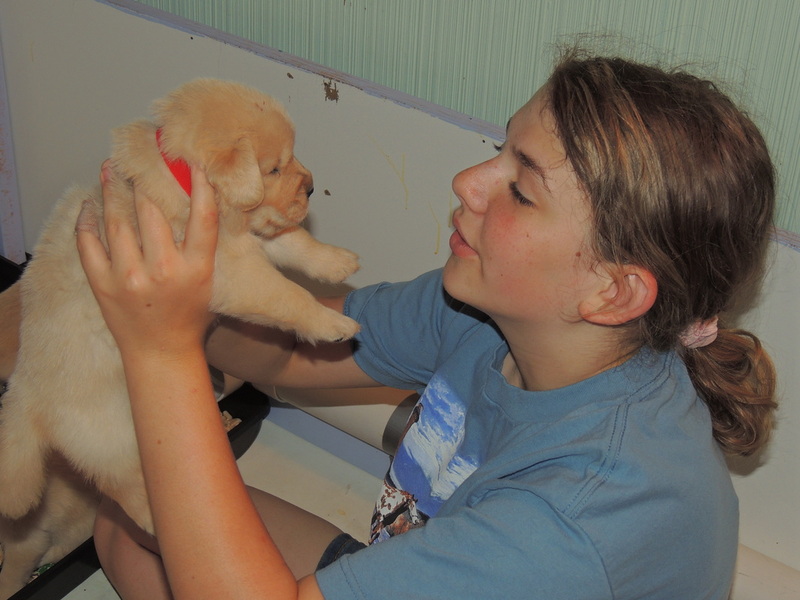 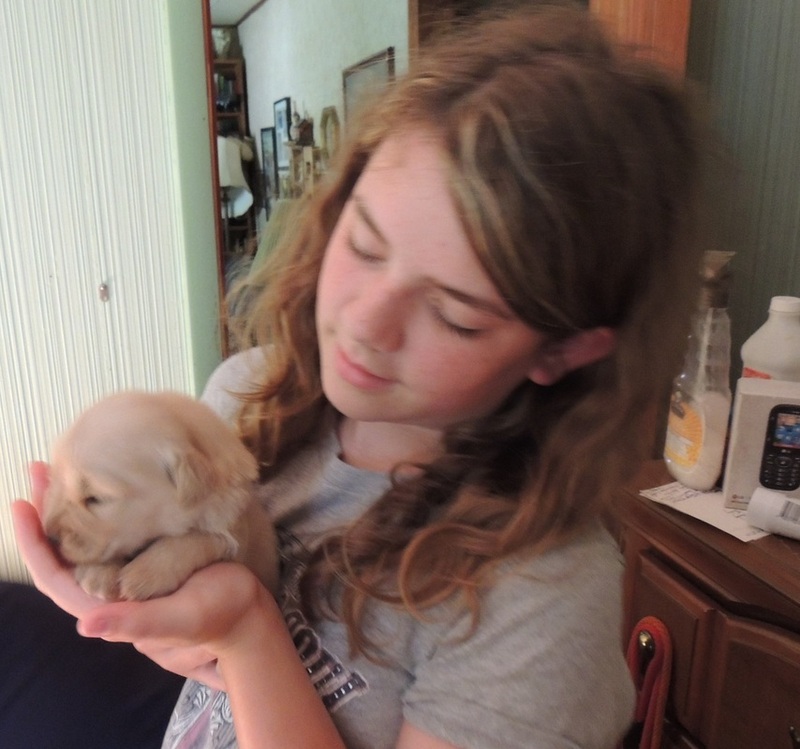 Miss Purple, now known as "Scout" Golden Clover's Saratoga Scout is receiving howling lessons! 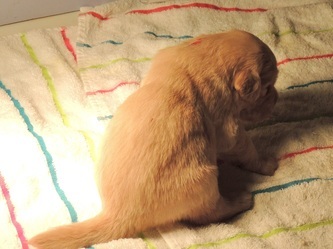 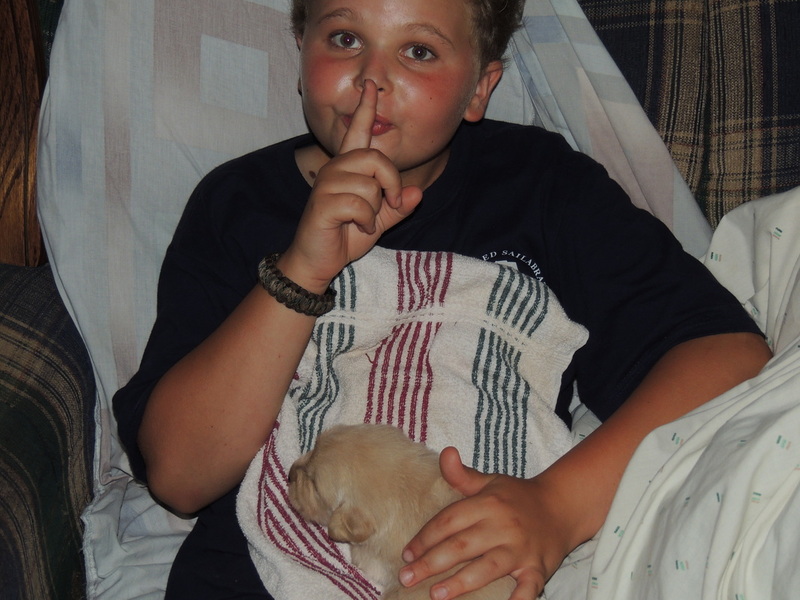 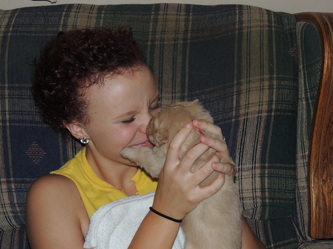 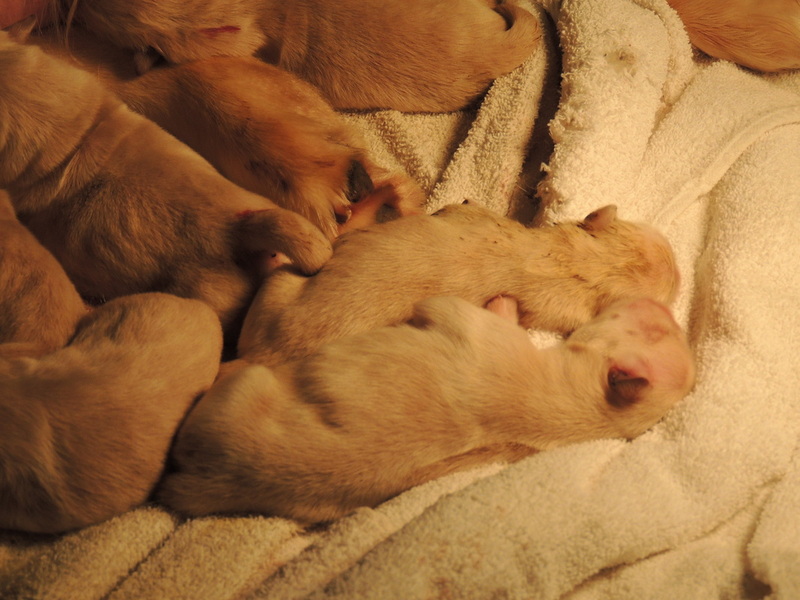 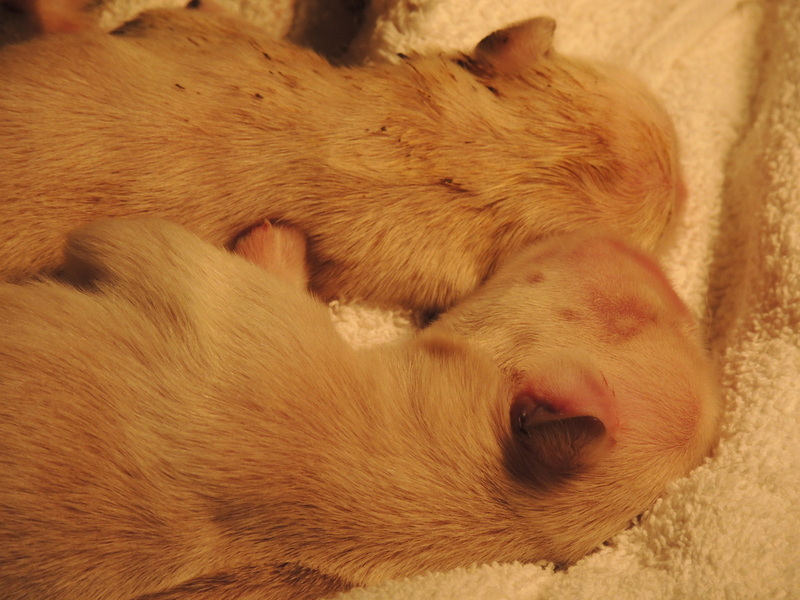 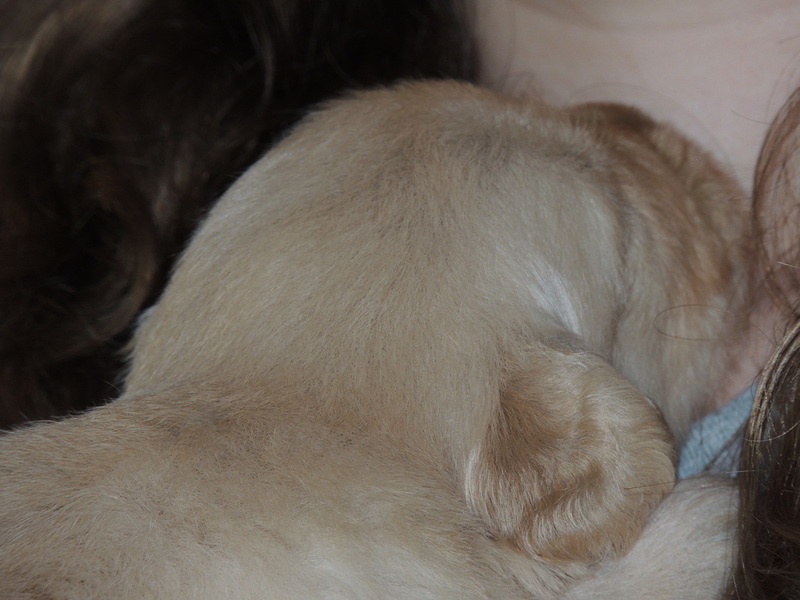 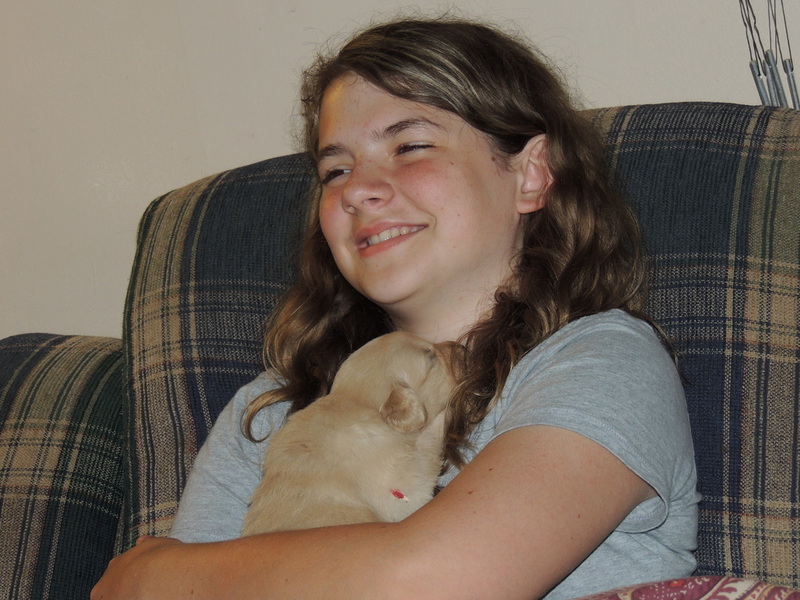 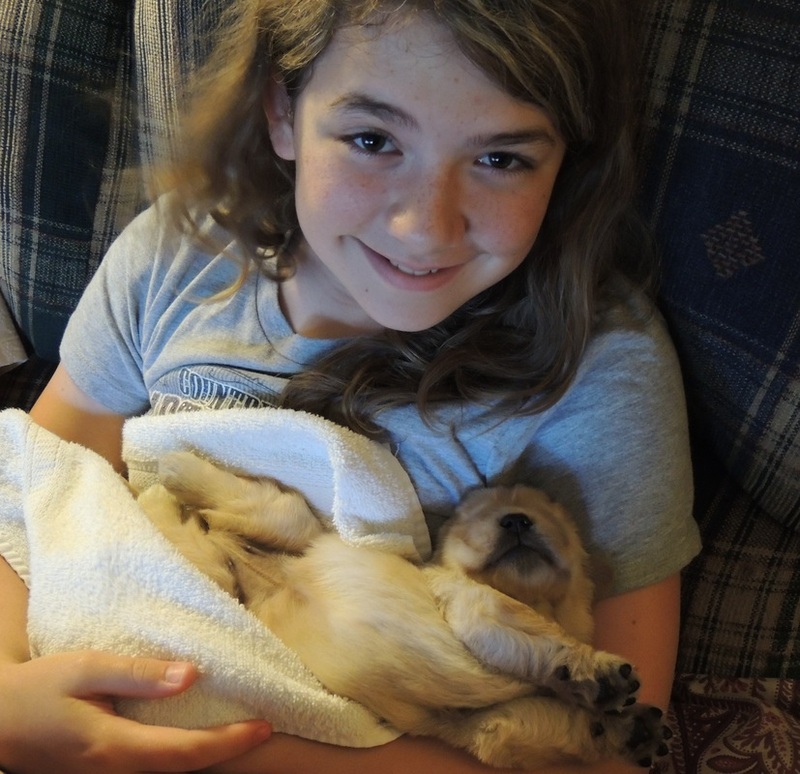 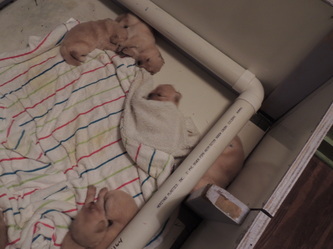 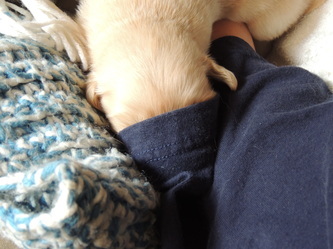 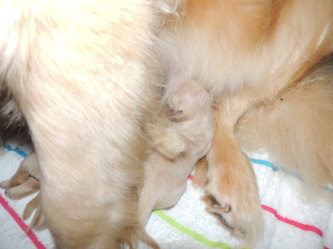 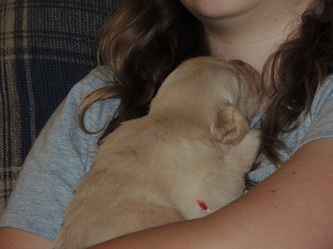 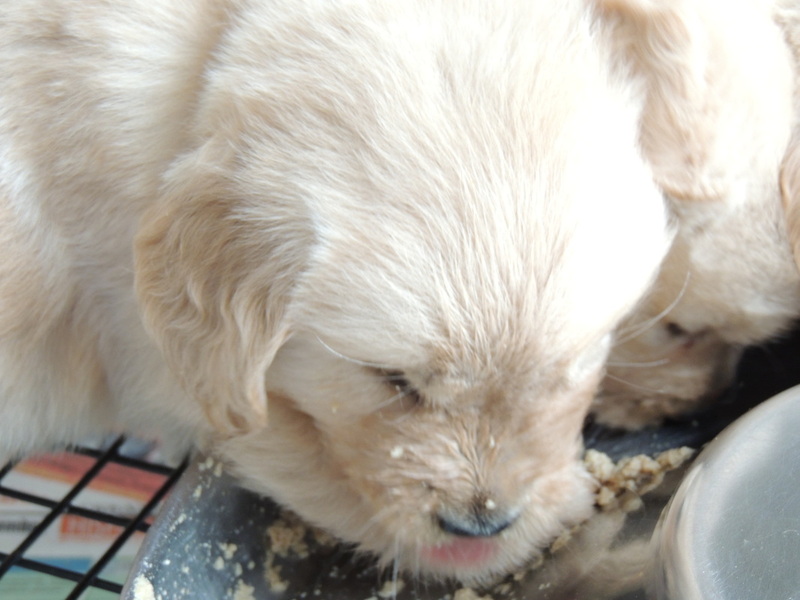 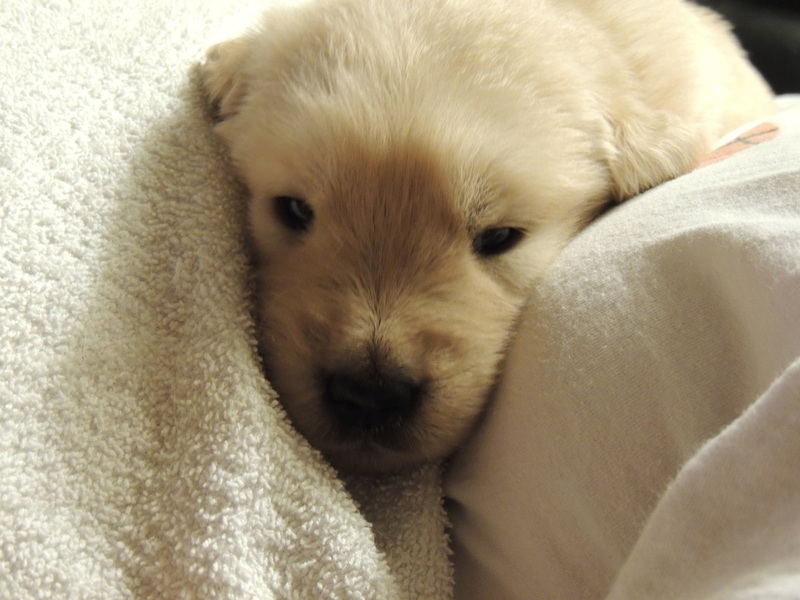 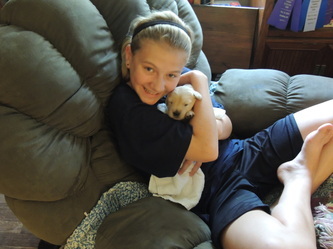 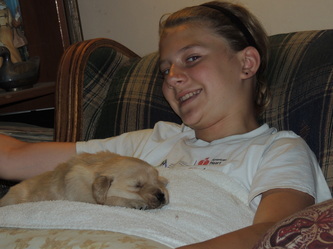 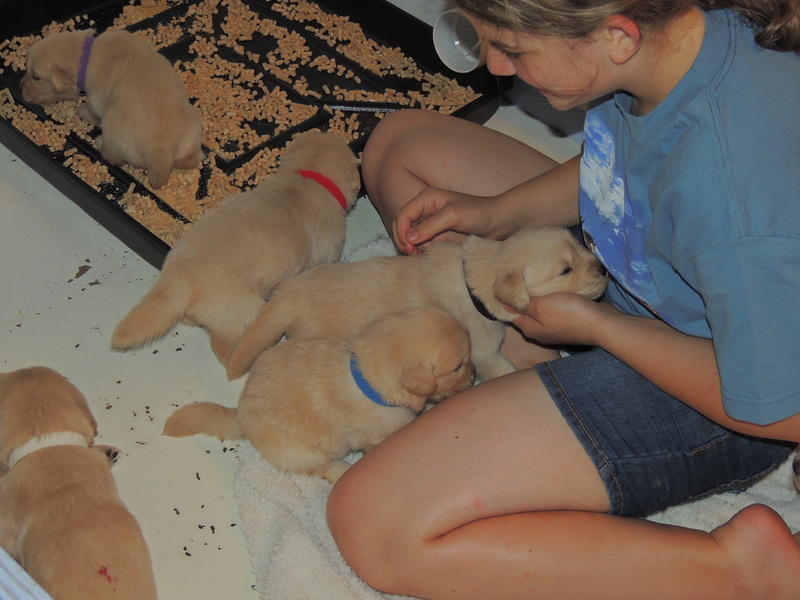 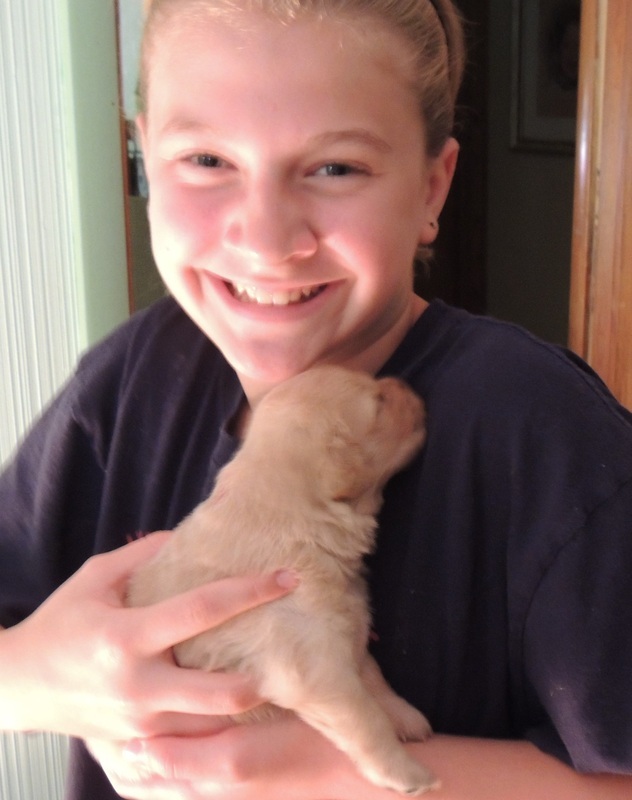 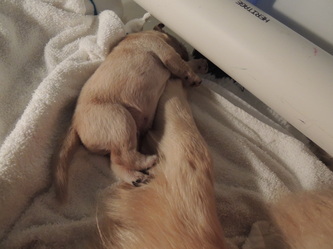 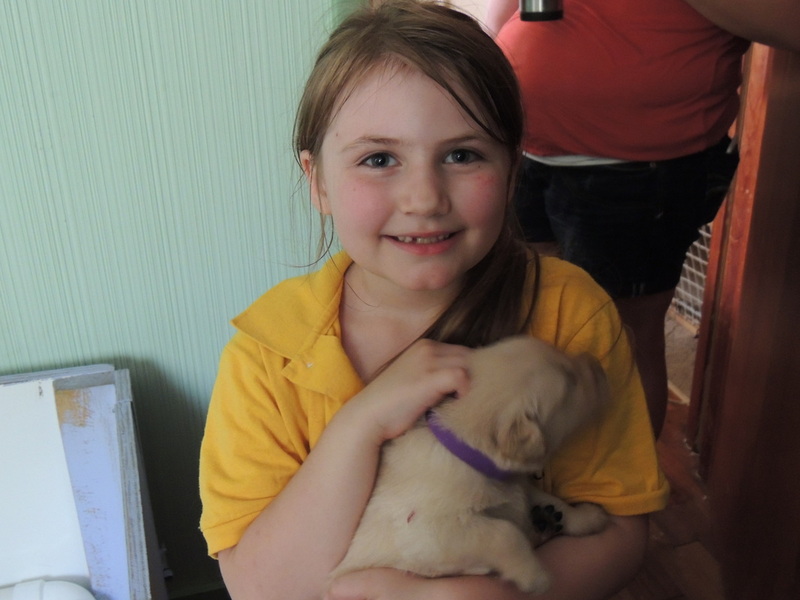 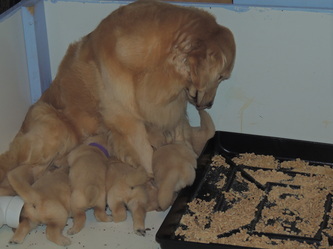 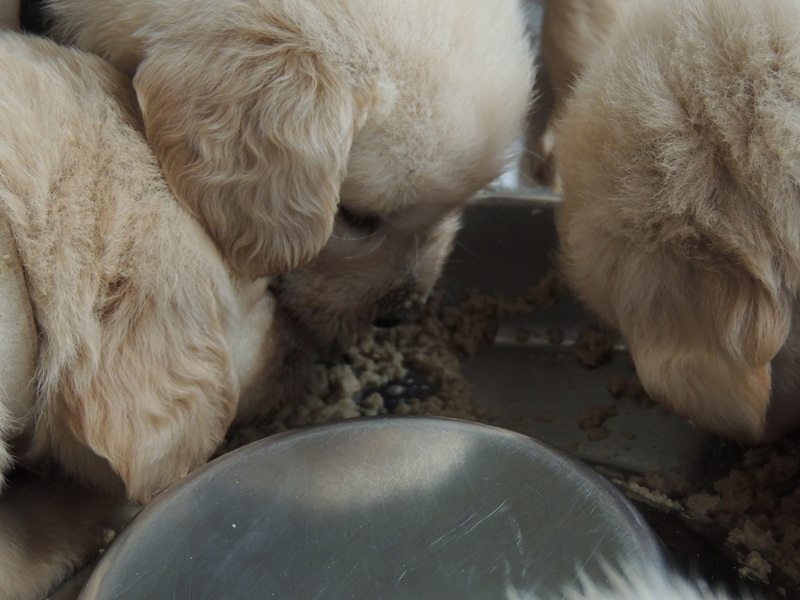 Puppies are starting to eat softened puppy kibble, teeth are in, and they are learning how to use the litter box. 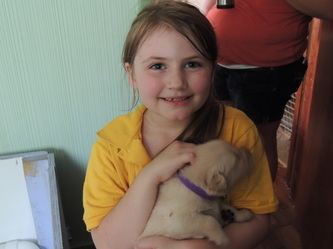 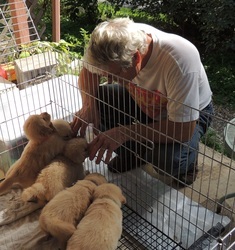 They get to spend time in the puppy pen now, outside, which they love! 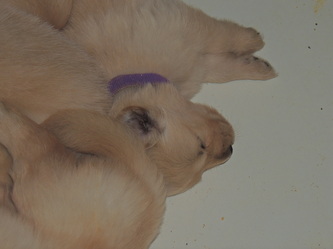 We are sporting collars now! Tan and Black are the boys. 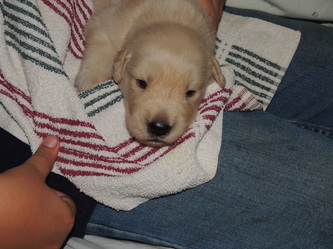 Getting BIG! 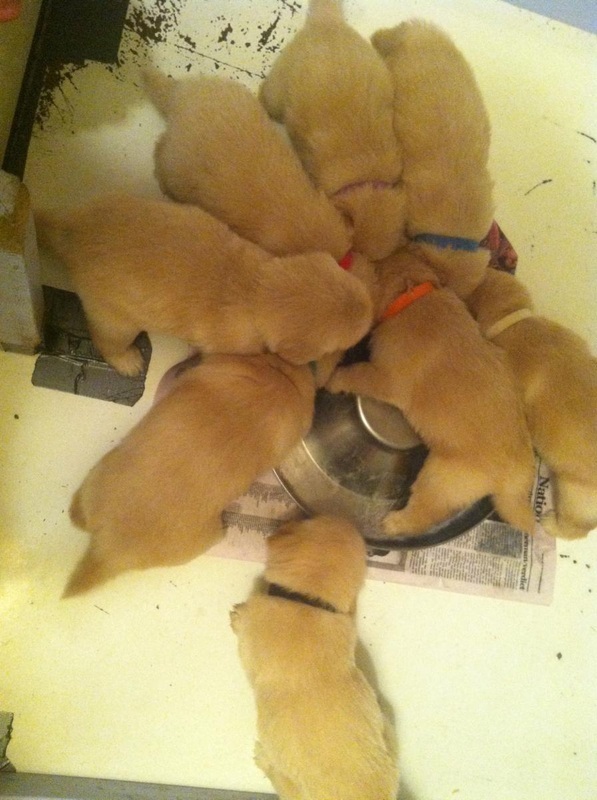 4 Weeks and Their First Meal! 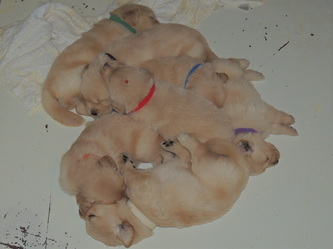 Five Weeks and Growing, Growing, Growing!